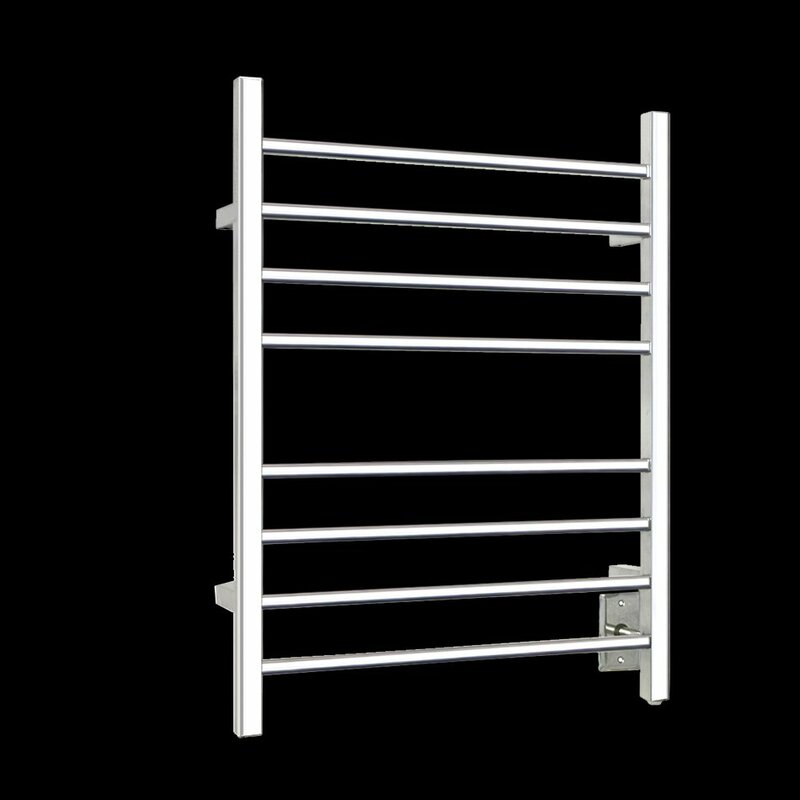 GENEROUS 8-BAR DESIGN: The Sierra towel warmer uses 8 polished stainless steel bars to evenly distribute heat, warming up to 2 large towels or bathrobes. HARD-WIRED: Wall-mounted with cord-free design, The Sierra hangs beautifully in any bathroom and is hard-wired for 120 volts. 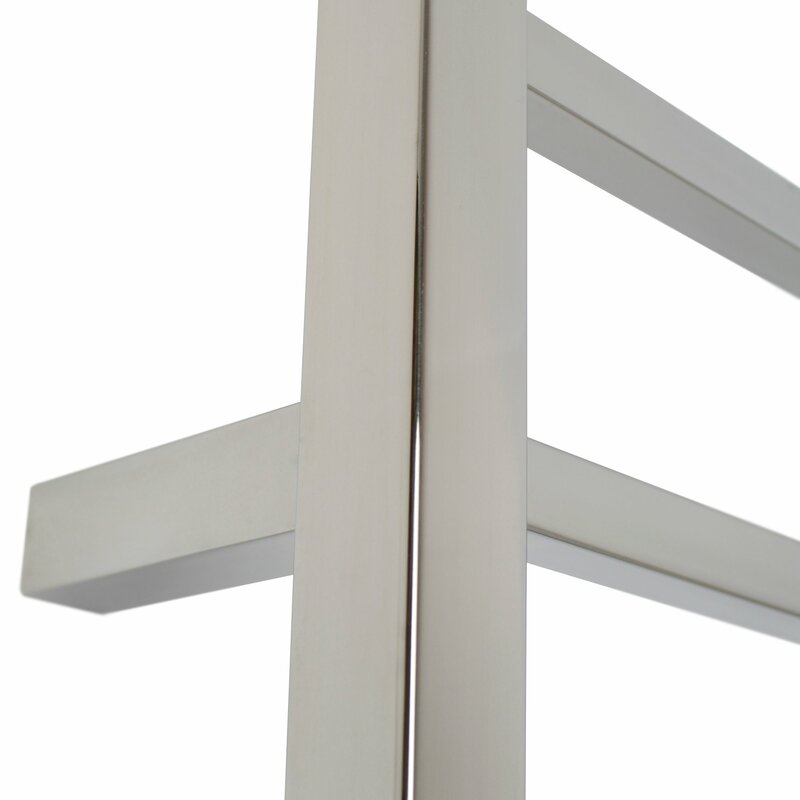 EASY TO CLEAN: The straight bars are made of durable stainless steel construction. 2-YEAR WARRANTY: The Riviera is covered by our manufacturer’s warranty for peace of mind. This item does not include any timer but has a built-in on/off switch to operate it. Wrap yourself in radiant comfort with a warm, fluffy towel waiting for you after every shower. 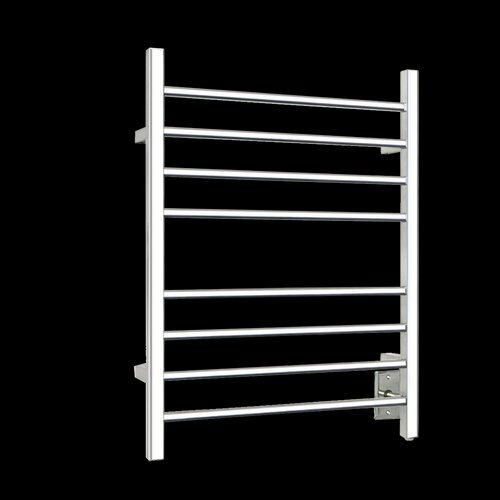 The WarmlyYours Sierra Towel Warmer adds luxury and defines your style. 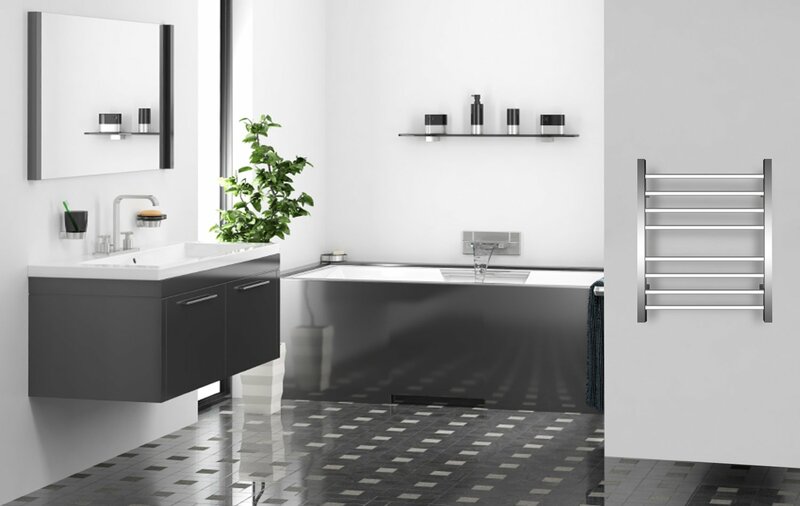 With a modern, geometric look and polished stainless steel finish, it is ideal for bathrooms with a sleek, contemporary look. 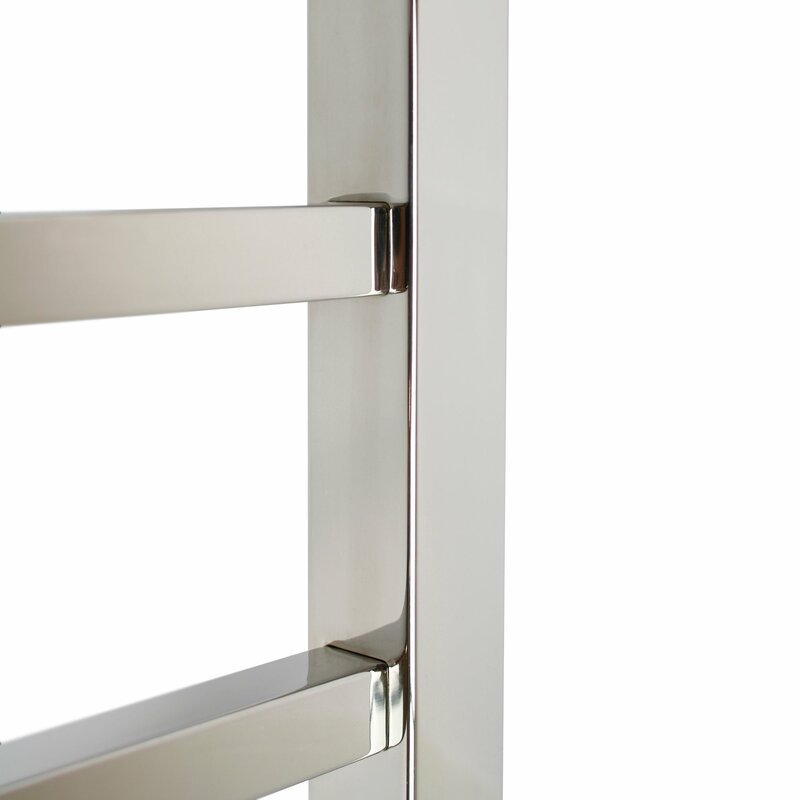 With dimensions of 23 5/8”W x 31.5”H x 4.75”D, the Sierra’s eight flat bars perfectly accommodate two bath towels or a bathrobe. 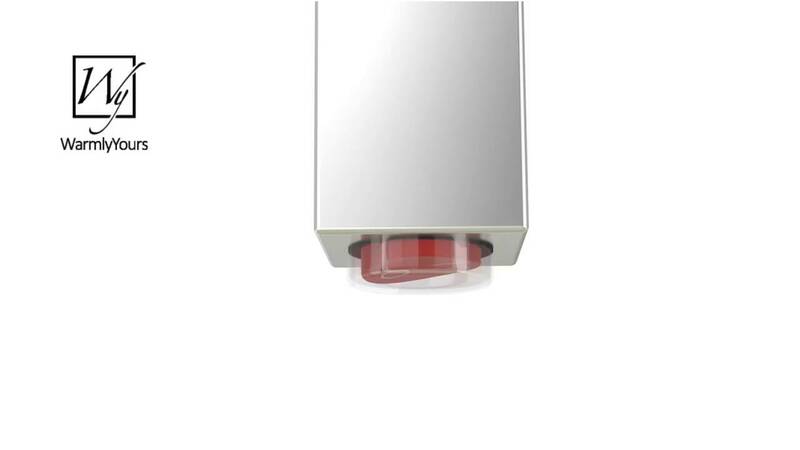 Hardwired and wall-mounted, it includes a built-in on/off switch but it can also be paired with a programmable timer (sold separately), offering the convenience of presetting the towel warmer to turn on and off according to your schedule. 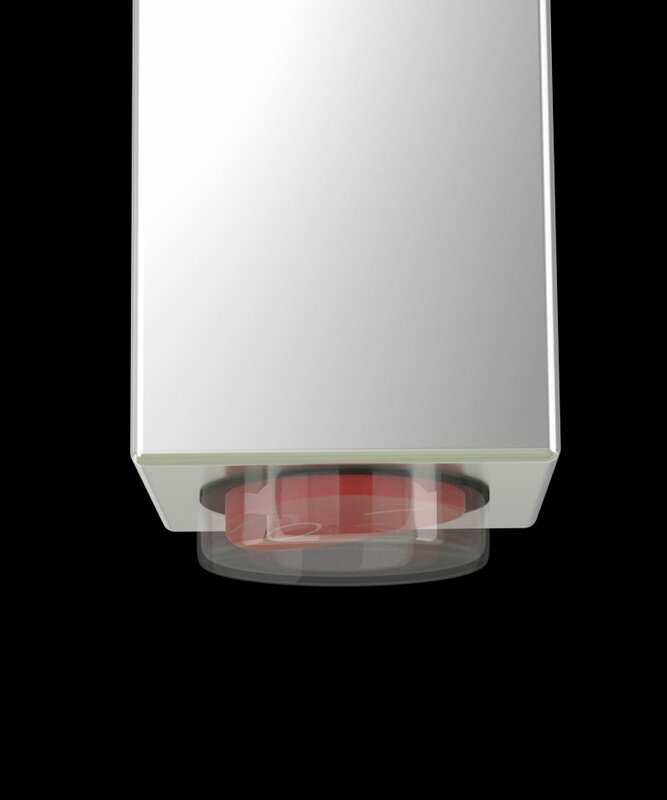 The Sierra is cULus Listed and operates on 120 volts, producing 150 watts to safely and gently heat your towels. 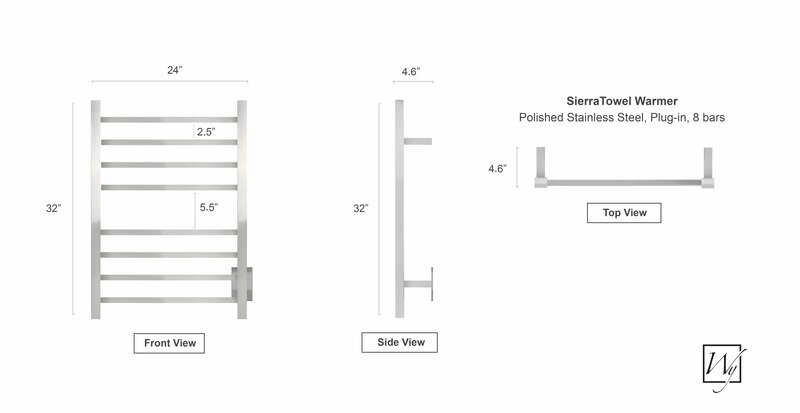 Sierra Towel Warmer achieved an average rating of 5.0 stars with 7 reviews by our customers. Excellent service and great product. No hidden surprises. Would highly recommend this company. Thank you. We are enjoying our towel warmer. We haven't used the timer function yet but plan to.